The 2016 All-State Lions Band State Band will be held at the Crowne Plaza Reading Hotel in Reading, Pennsylvania on May 20-21, 2016, in conjunction with the Pennsylvania Lions State Convention. 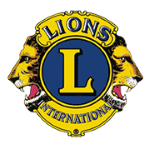 For over 30 years, the Pennsylvania Lions have organized an All-State Band to accompany the PA Lions to the annual State and International conventions. All lodging and meal expenses are covered by the PA Lions while at the convention. If you were a member in the past, you will recall the fun times you enjoyed and the great musical experiences you had. If this will be your first involvement with the Lions Band, you can look forward to an exciting musical experience. We encourage you to apply and to invite other musicians to join us in Reading. The Crowne Plaza Reading, our Performance site. This schedule is tentative and provided for example purposes only. A final schedule and itinerary will be sent to all accepted members with their acceptance letter on or around April 1st.